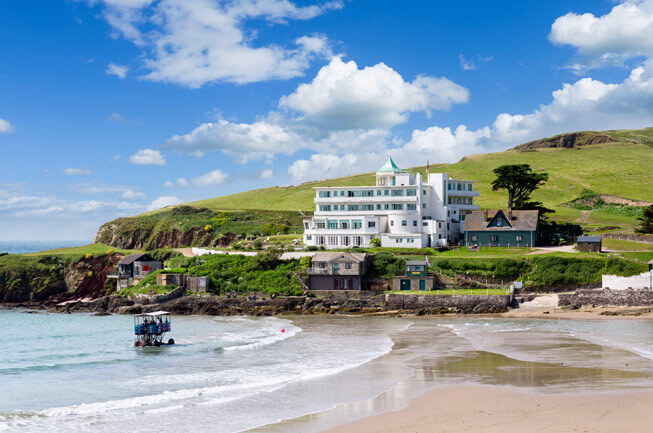 One of the foremost examples of art deco in Europe, Burgh Island found global fame through the books and films of Agatha Christie, who wrote two of her novels on the island. A bolthole sought after by everyone from Noël Coward to Edward VIII and Wallis Simpson, Winston Churchill to the Beatles, the gleaming white art deco building had glamorous beginnings. In 1927, the filmmaker Archibald Nettlefold bought the island and replaced the prefabricated wooden house with something more substantial, embracing the art deco style that was in vogue. By the 1930s Burgh Island had become one of the most fashionable hotels of the day, but sadly the Second World War saw it damaged by a bomb. After a period of post-war decline, the hotel has recently been restored to its former glory. And what a glory it is. 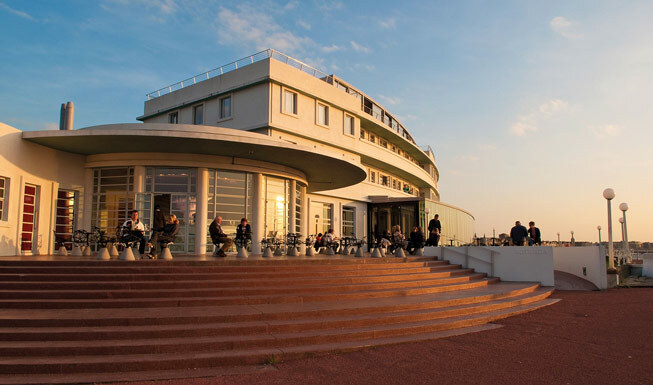 The Midland in Morecambe is a fine example of Streamline Moderne – a late nautical style of art deco with curving forms and clean horizontal lines. Designed by Oliver Hill in 1933, with sculpture by Eric Gill, including the hotel’s famous seahorses and his Odysseus bas-relief in the entrance, as well as murals by Eric Ravilious, which sadly have not endured (though the artist is remembered in the Ravilious Rotunda Bar), no expense was spared on the original. The £11m restoration, in 2008, followed suit in appropriately lavish style. With 44 bedrooms and magnificent views of the coast, the Midland is something special. It was certainly good enough, in Double Sin, for Agatha Christie’s detective Poirot, whose exacting standards are legendary. 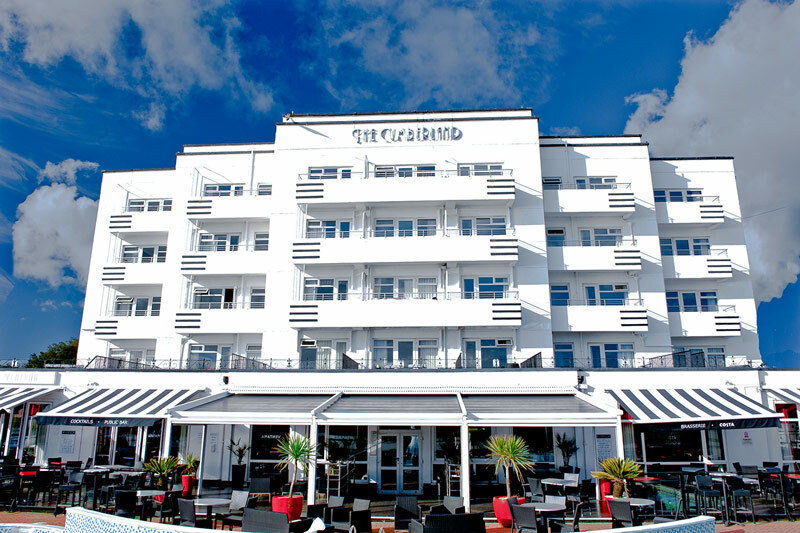 Another hotel benefiting from a recent restoration, the Cumberland in Bournemouth was built in 1937 and was once Europe’s largest Jewish hotel complete with its own synagogue. Now owned by Oceana Hotels, the three-star hotel has been revived to its former Art Deco opulence with sleekly stylish foyer, bar and dining room, with Italian marble fireplaces and floor and original 1930s patterns on the carpet. The Ventana Grand Café combines art deco and contemporary style, while the poolside lido deck takes its inspiration from Miami. Guests at the Cumberland are offered full use of the facilities at Oceana’s neighbouring Bournemouth hotels, including an indoor pool and sauna at the Suncliff Hotel and the spa at the Ocean Beach Hotel and Spa. Sywell Aerodrome in Northamptonshire opened in 1928 and operated as a Royal Air Force base in the Second World War, where it was used as a training centre. 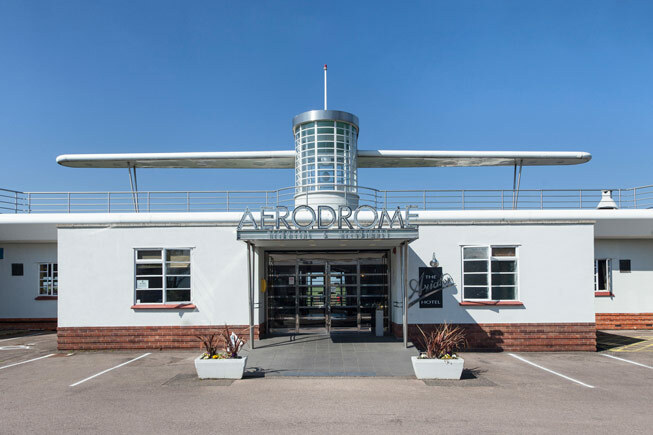 Today the former RAF officers’ mess, built in the 1930s, has been renovated to its former glory with memorabilia from the early days of aviation. 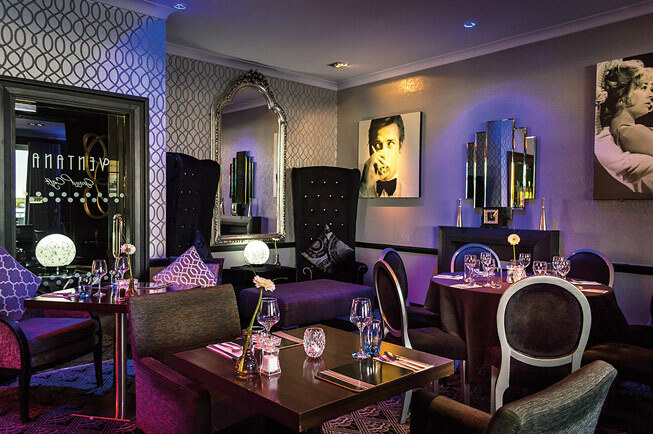 Dine in authentic art deco style with views of the airfields offering something very different from the usual. 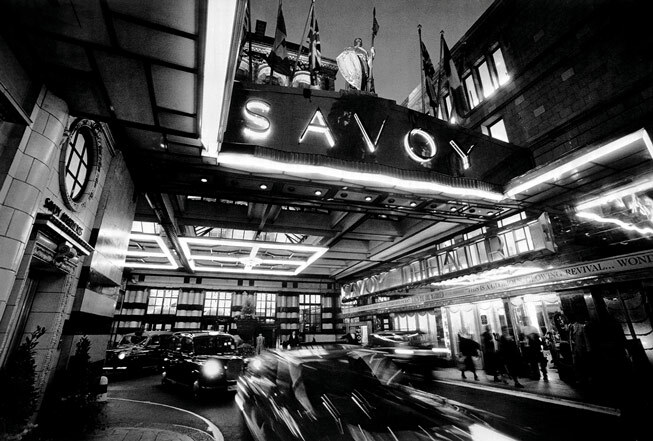 On 15 December 2007, the Savoy’s general manager, Kiaran MacDonald, rang a bell at midday to declare the iconic hotel closed for the first time in its 118-year history. The London landmark, which opened in 1889 and has hosted the great and the good ever since, was to under go a meticulous restoration that was to cost £220m and take almost three years to complete. The hotel’s dual aesthetics are Edwardian style and art deco. The latter is encapsulated by its famous Savoy sign, above which the 1904 sculpture of Count Peter of Savoy overlooks arriving guests, but, in truth, the hotel is full of art deco details – Murano glass chandeliers, monochrome marble floors, its legendary American Bar and even Kaspar the cat.